SUPERCHARGE YOUR BRAND FOR THE AMAZON SUCCESS YOU HAVE BEEN DREAMING ABOUT FOR YEARS! Do you sell on Amazon? How many of these sales were yours? ​If your answer was not enough, then you are in the right place. We hope we don't need to convince you that Amazon is a great place to sell any product. Their sales grow every year, and their user base expands daily. While any brand owner can start a profile on Amazon Seller Central and begin listing their products, a harsh reality will soon set in. The reality that there are millions of similar products being offered from thousands of different sellers. This is exactly where we come in, to ensure your products stand out above the rest and give you the keys to succeed in a crowded and complicated market. So what exactly do we do that is so special? Well, some of that is our secret recipe, but broken down simply, our experts help your products become the listings at the top of the search rankings. You know, the products making the most sales! We are constantly working on improving your rankings and driving more sales. We know how, and we are better than anyone at doing this. Further, in partnering with our clients, our interests are aligned. Our goal is to take all aspects of Amazon selling off your plate. What We do? ... Drive Amazon Sales, Lots of them! 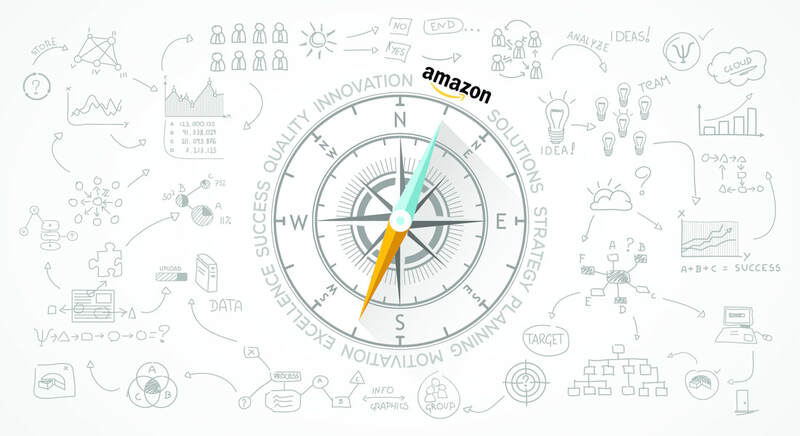 ​Think of us as your personal Amazon brand rocket, built to take you from 0 to 60 faster than you could have ever imagined. Our senior team of experts have built multi-million dollar amazon brands and our goal is to do the same for you. We don’t believe in just consulting clients, we believe in an integrated approach that starts from the bottom up and covers every imaginable detail in between. Companies are blown away at the complexity required to have success on Amazon, and don’t know where to start. We don’t just help you start your engine, we ensure that you are winning the race. Oh yea we forgot to mention we work with these marketplaces too.. In the modern age of retail its vital to make sure that your brand and products are in front of customers on every device and in every store they are shopping for their daily lives. But how do you find time to sell on Amazon and all of these other marketplaces without going crazy? There just isn't enough time in the day. That's where we come in, not more working with third party channel management companies that charge huge up front fee's, monthly percentages, all just to have you manage giant CSV. uploads with their mediocre software that doesn't do what was promised. We have tried them all and we know how painful it can me. Let us help you drive success on Amazon and then continue that success into some of these other platforms. *over $500,000,000,000 in sales in 2017. Not a typo, just lots of 0's! Ready for your piece? Take the first step in sky rocketing your marketplace sales! Speak with a etail rocket expert today. Please let us know the Tax ID for your business so we can help setup a new Account for you. Don't worry it's free. Tell us all the marketplaces you currently sell on. Select all that apply.